3.HIP sintering ensure good compactness and high toughness for the products. 2.we have our own factory to produce the molds and products, so the delivery is fast. 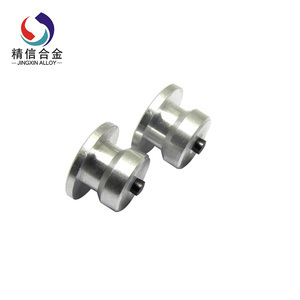 5.We can accept order of all kinds of special designed products of tungsten carbide. 2.We provide reparing service with low cost for any machine over the warranty period. 4.We provide OEM service for business channel or educational institution. 2. Do you accept OEM9 A: Yes and we are doing OEM for many famous brand in the market. Also the price is very More items & details about our can be found on our webpage & shop. Enjoy your purchasing time. Any problems welcome to contact me,thank you!!! using in different season, after winter weather can take them off for next turning. Choosing the screw studs only to based on depth of your tire thread. If you have any questions,please do not hesitate to contact me. How to use: A correctly inserted stud will only have its carbide pin protrude past the tire surface after the tool is removed. The tread rubber compresses around the stud's flat head (inserted into the bottom of the hole) to hold the stud in place. If you need the goods urgently, we could try to push the production and shorten the delivery time. 2. Continuous tread patterns on shoulder and solid shoulder ribs provide responsive handling and even wear. WINTER TIRES, WHAT'S THE DIFFERENCE9 The key to good traction is friction, but this can be elusive depending on the weather. 5 CAN WE PROTECT YOUR MARKET PROFIT9 Yes, This is also our company policy--we insist one agent in one market area, and avoid the market disruption. Q. Welcome to your kind enquiry, we can provide the best service for you. Our Mansion : Creat The Value for you,Achieve the brand for us ! Please send your inquiry in the below for your privat e custom service . The tungsten carbide pin is the element that protrudes beyond the tire tread and contacts the pavement surface. 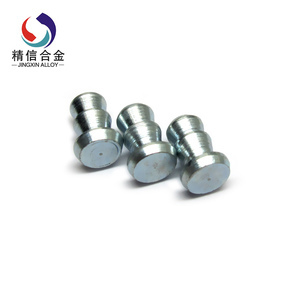 The outside part of the stud is a cylindrical metal jacket or body that is held in the tire tread rubber by a flange at the base. , Ltd is a professional tungsten carbide manufacturer located in Zhuzhou City, the world renowned cemented carbide base. is a professional manufacturer of tungsten carbide products in China. For more information about us, please visit our website or contact us. *We are a professional team and wait for you at any time. 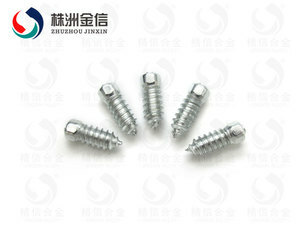 Alibaba.com offers 1,326 snow tire studs products. About 24% of these are tool parts, 10% are cemented carbide, and 1% are machining. A wide variety of snow tire studs options are available to you, such as power tool parts, hand tool parts, and construction tool parts. You can also choose from free samples, paid samples. There are 1,323 snow tire studs suppliers, mainly located in Asia. The top supplying countries are China (Mainland), Taiwan, and Poland, which supply 99%, 1%, and 1% of snow tire studs respectively. 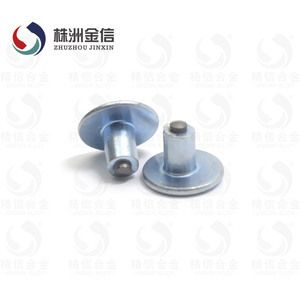 Snow tire studs products are most popular in Western Europe, Eastern Europe, and South America. You can ensure product safety by selecting from certified suppliers, including 801 with ISO9001, 166 with ISO14001, and 30 with Other certification.